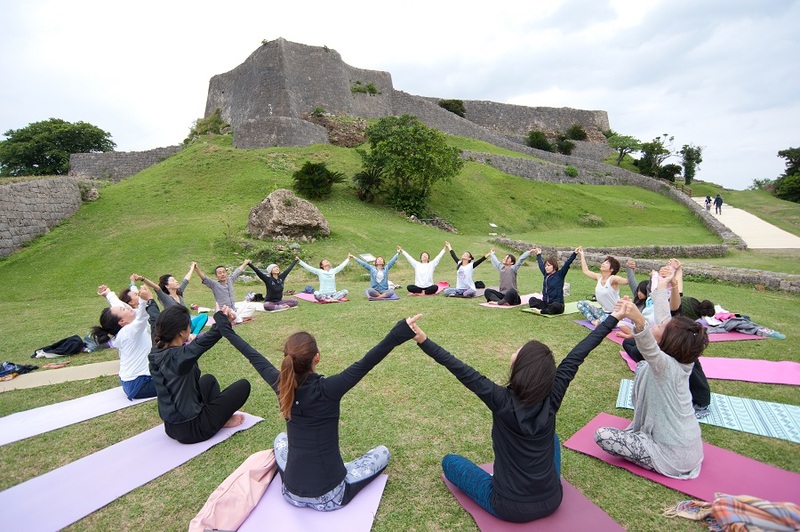 but now visitors can also experience yoga there. with the participants forming a circle so they could see each other’s faces. 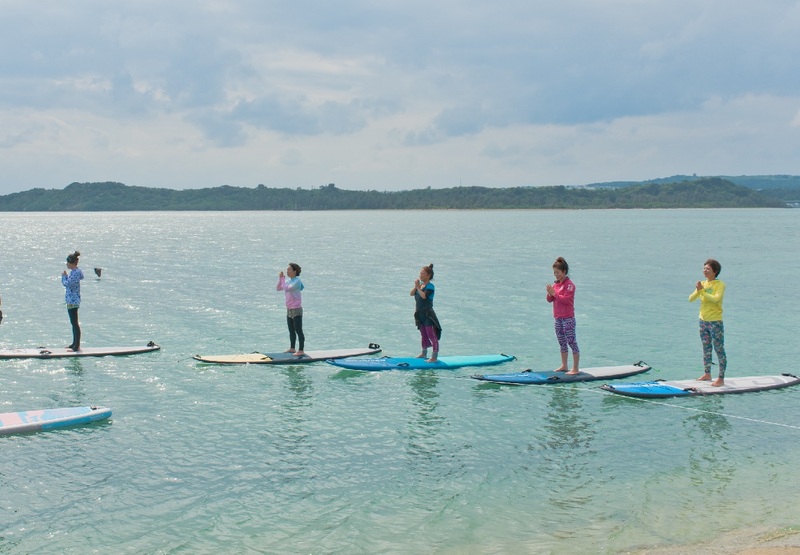 The next session, SUP Yoga starts on a beach close to the Mid-Sea Road. 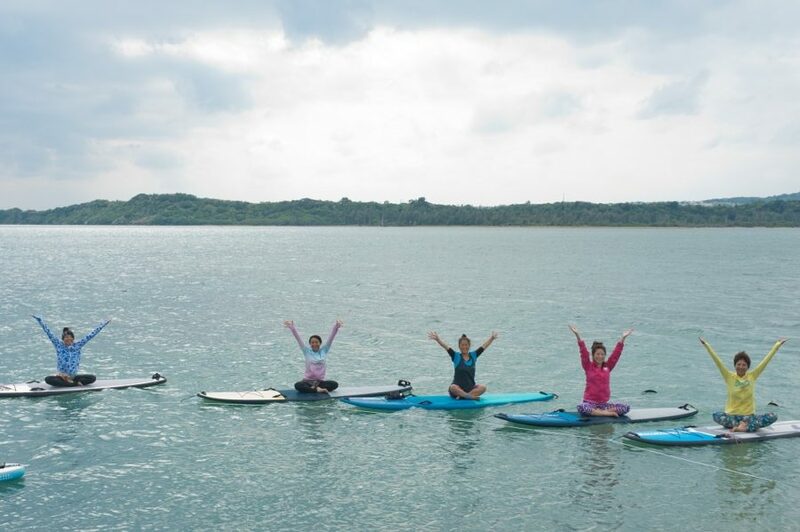 SUP Yoga is a type of yoga where participants get on a SUP (stand-up paddle) board that is bigger than a surfboard. while participants can relax to the sound of the waves and the feel of the ocean breeze. Of the 5 people who tried it today, 3 were trying it for the first time! it gradually becomes harder to balance as the poses become more complicated. Everyone looks relaxed as they loosen up their tense bodies while feeling the breeze and sunlight in the ocean. Finally, everyone takes the prayer pose. Everyone is now smiling, perhaps feeling satisfied from the yoga. 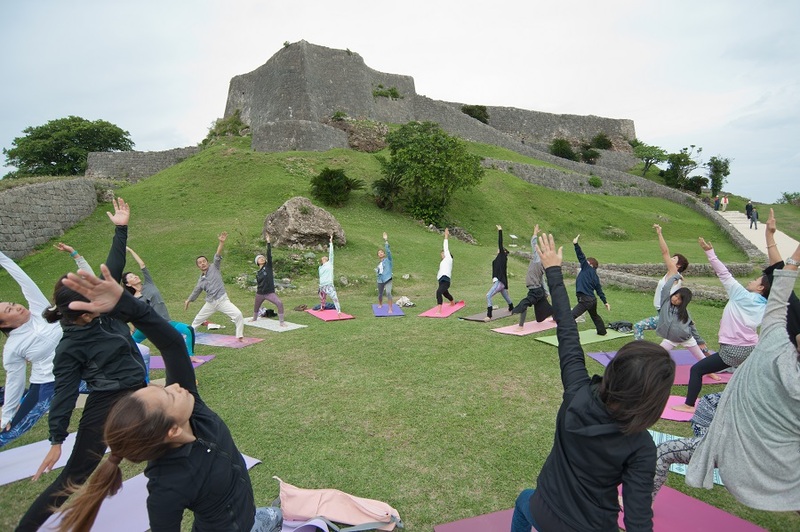 (From December to March, there will be no yoga sessions due to strong northern winds. 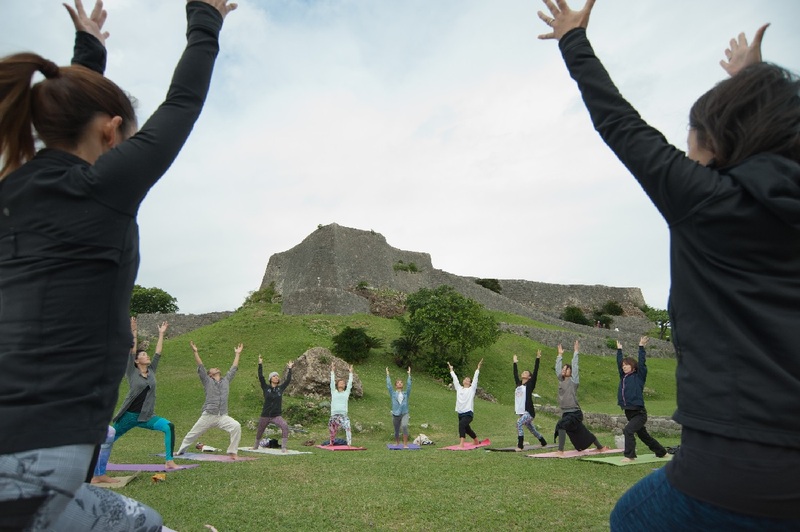 We invite you to experience yoga with us in the Katsuren Castle ruins while watching the sunrise from the ocean, or while relaxing to the scent of the sea on the Mid-Sea Road. 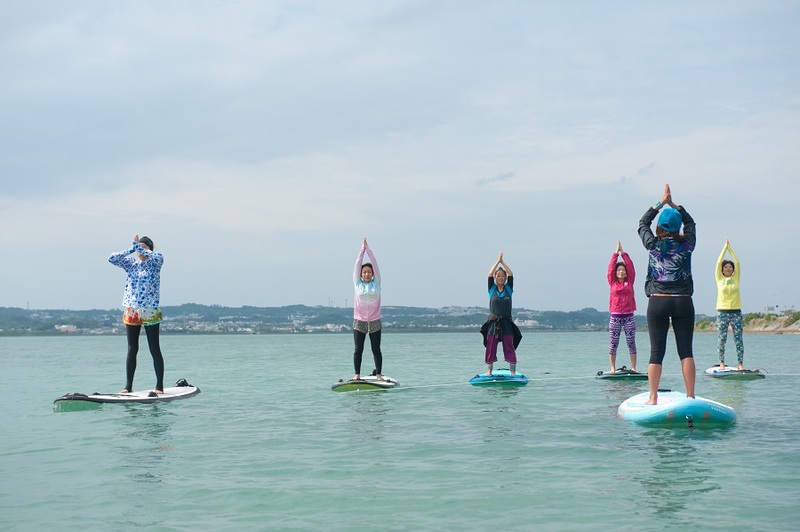 "SUP Yoga on the Mid-Sea Road"